We’ve probably all seen these captivating Old Spice ads. Male or female there’s a certain je ne sais quoi about Isaiah Mustafa, who appeared in these commercials in 2010 and became part of the fastest-ever growing viral media marketing campaign. Isaiah is depicted as the perfect boyfriend in a series of fantasy situations, all because he chose Old Spice products. The narrative of the original advert (the one which ends with “I’m on a horse”) is quirky and takes place in a single, CGI-assisted shot. Isaiah Mustafa’s graceful, smug patter and charismatic movements make for exciting viewing, and the slick nature of the “storyline” keeps the viewer wanting more – precisely what we want from a viral advertisement. There was a shorter, “stinger” ad released, and one which showed him in a rowing boat removing a fake moustache to reveal another fake moustache below. Finally, Isaiah Mustafa starred in a second long advert. This time, the transitions were far more swish and slick – the finale shows him “swan dive” into a hot tub, which falls away to reveal him standing astride a running motorbike wearing jeans instead of shorts. It’s surreal but very memorable. After the first online adverts, Isaiah Mustafa responded to more than one hundred individual messages from Youtube, Facebook, Twitter and Reddit. These were only about a minute long each, but Mustafa continued his smug, crooning, man-of-the-world cool dude throughout these videos. They were mostly retorts to female users and involved Mustafa asking rhetorical questions while assuring his female audience that their boyfriends could be improved with the addition of Old Spice. Isaiah Mustafa is a professional sportsman with a modest small-screen biography. 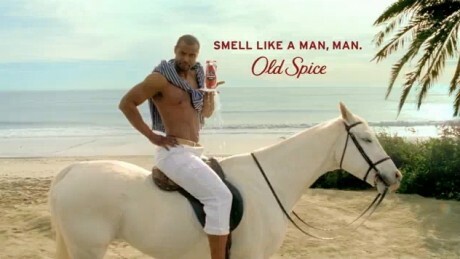 His role in the Old Spice adverts gave him more exposure than any television star could imagine – about 35,000,000 views at the time of writing. It’s an enormous campaign and it spread further and faster than any other viral project, which is fairly surprising given the brand it was marketing for. Old Spice is largely associated with old men and unfashionable smells. It certainly isn’t a young person’s brand, or at least it wasn’t until “The Man Your Man Could Smell Like” came along. It was a “sleeping” brand, which didn’t have very much of a media presence before Isaiac Mustafa gave them more exposure than they could possibly purchase. The video spread via Twitter, Reddit, Facebook and a whole host of online forums, and it still crops up a year later. It has been parodied the world over, most famously by Sesame Street and iCarly. About the author: Gerri writes on interior design and social media marketing. She tends to prefer the former, but the chance to write about Isaiah Mustafa is too much to pass up.